Great for fishing and cruising! 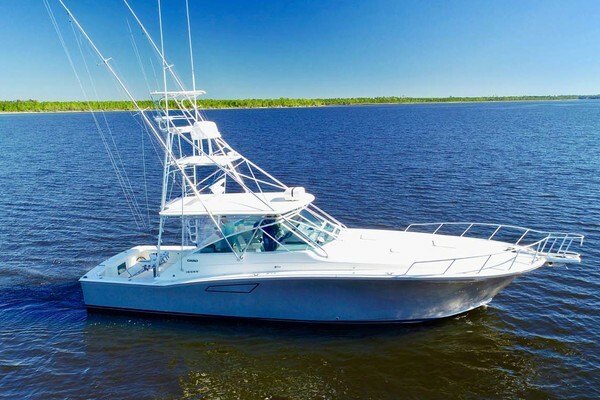 United Yacht Sales New Jersey would love to guide you through a personal showing of this 53' Atlantic 1989. 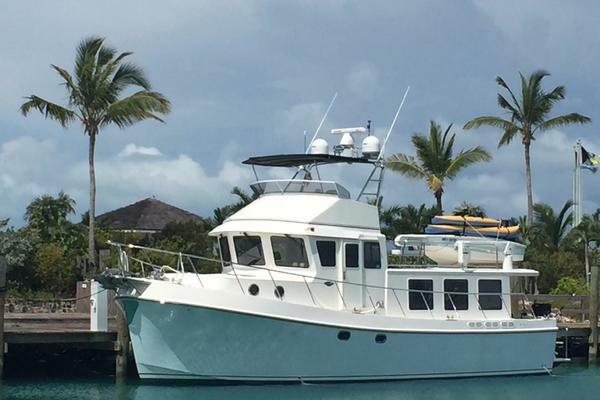 This yacht for sale is located in Dania Beach, Florida and priced at $249,000. For a showing please contact us by filling out the form on this page and we will get back to you shortly! The salon deck has been replaced with rich varnished wood planking. Removable panels allow full topside access to both engines plus engine room access from both forward and aft lifting stairs. Forward and to port, just below the flat screen TV is a stereo/video control center. The built-in ice maker and refrigerator are conveniently placed on the aft enclosed sundeck. The salon looks over the galley and dinette to 3 large forward windows. This desirable panoramic view enhances the enjoyment of the main salon.The galley is 4 steps down to port and dinette to starboard. Just forward of the galley is the VIP stateroom with its own head and shower. The VIP berth is a double along the starboard hull. 4 steps down from the salon lead to the guest and owner's quarters. To starboard is the guest cabin with 2 single berths. Across the companionway is the guest head. Further aft is the spacious owner's cabin featuring a centerline queen berth. Three staterooms, three heads, and fish cockpit all in one roomy, economical package. If these are your requirements, this is your boat!